I wish to highlight an article that appeared in the Charlotte Observer this date of publication, March 10, 2019, entitled: For the Cherokee tribe in western North Carolina, America’s drug problem hits home by Thomas McDonald. This documents through the story of a young lady, a recovered opiate user and member of the Eastern Band of Cherokee Indians, the efforts that the Tribe has undertaken for years to address their substance abuse problems. Their efforts are frankly in my view, likely the very best that have been undertaken in any Native American reservation and deserve wide recognition. It is no secret in mental health and substance abuse treatment circles nationally and in the public mind, that the Native American population in this country has struggled in the last several decades with an enormous crippling addiction and substance abuse problem. For instance, it is long been known that in certain reservations and puts this is been highlighted, up to 50% of Native American adults are afflicted with chronic alcoholism. In the last three decades or so mirroring the invasion of prescription and illegal addicting drugs that have invaded initially larger urban areas in this country, and following the economic and recessionary collapses in the employment industries of urban areas by opiates resulting in our now well-known national opiate epidemic, Native American reservations have not been immune either. In many ways, the Native American reservations have been incredibly more vulnerable for subtle reasons that are not well understood in majority American circles. For instance, Native American reservations are sovereign federal territories and administered in decades past or ruled over, might be the more appropriate sobriquet, by the Bureau of Indian Affairs. This unfair system started in the 1800s and resulted in the brutal colonial style of rule that prevented Native Americans by large from governing themselves and making their own best decisions in their behalf for decades. This finally began to be reversed in the latter part of the 1900s as various tribes began to restrict the power of the BIA and to rule themselves in matters of finance, economics and healthcare to mention a few. As Native American tribes began to seize upon the opportunity afforded them by almost “loopholes,” in federal law to permit the establishment of tribal-run casinos, the power of tribes began to exponentially increase on their own behalf as they gained more and more autonomous sources of funding separate from the sustenance funds afforded to them through the BIA and federal budgets. These casino funds in tribes who managed well there casino properties and revenue sources, made possible the establishment of many tribal-run agencies that began to operate solely for the benefit of the tribes and were completely administered by tribal figures and governance bodies. Over time the economic goal minds that the casinos afforded, made possible solid revenue streams for tribal improvement from everything from housing to healthcare. But this did not protect the reservations from the onslaught and invasion of addictive drugs. From the sort of “humble” beginnings of applying and supplying destructively tribal reservations with sources of alcohol to feed and promote and sustain alcoholism for decades, the invasion of addictive drugs took on the characteristics of the entry into those poisons and the rest of American main street life. Outside drug dealers only a few decades ago began to I reservations as new and fertile territory for their goods. And without delay unscrupulous and antisocial figures within tribal populations themselves graduated from selling alcohol and marijuana to opiates and provided unwelcome bridges intertribal life for the distribution of opiates on the reservations. Tribal reservations were quite vulnerable to these invasions from without and from within. 20 to 30 years ago tribal police forces were still somewhat small and understaffed. The FBI had dominion legally and jurisdiction over major crimes on reservations as this agency was tasked with law enforcement of major crimes. This hampered the ability of tribal police forces to undertake interdiction and law enforcement efforts regarding the opioid epidemic. Gradually tribal police forces were given greater budgets and expanded to meet the invasion of addictive drugs for sale on tribal properties. The newspaper article that I am highlighting in this article which I commend to every reader of this post moved most highly to follow and read in the Charlotte Observer this date, weekend of March 10, 2019, makes brief mention of the next factor I wish to highlight. On reservations which have their own autonomous tribal sources of income such as casinos or entertainment venues such as the famous Hard Rock Cafe franchise etc., distribution of tribal income funds to all enrolled members takes place usually on a twice a year basis. This is called the “per capita,” or “per cap,” distribution day. This is a unique phenomenon largely not known to the outside world. It means that every enrolled tribal member will receive so many thousands of dollars twice a year from the tribe and its autonomous revenue source such as a casino franchise. The amount may vary at every distribution date of eight dependent on the volume of business and profit from the casino for instance. Persons who are minors nowadays have their per capita funds automatically deposited in trust funds set up automatically on their behalf administered by their parental guardians. They become eligible to begin to receive these funds for instance, on the Cherokee reservation, after their 18 and graduate high school. In years past, the per capita day began to attract an influx of illicit drug dealers twice a year for a certain period of time after the monies were distributed. I hate to use pejorative metaphors but I will go ahead in this case to give a bit of emphasis to the power of attraction that these kinds of monies being distributed could have upon vulnerable tribal members. Tribal members who were already addicts would have enormous amounts of monies, thousands of dollars, suddenly in their possession after cashing their per capita check. Illicit drug dealers would set up shop person’s homes, motels both often on the reservation properties and do a land office business selling drugs. Federal authorities, representing agencies such as the FBI and DEA, as well as tribal police began the twice a year interdiction efforts with undercover agents, often Native Americans from the reservation itself and from other tribes would not be known as law enforcement officers to the invading drug dealers. Nighttime arrests would abound and federal courts in cities near reservations would be full for weeks of newly arrested and indicted drug dealers. 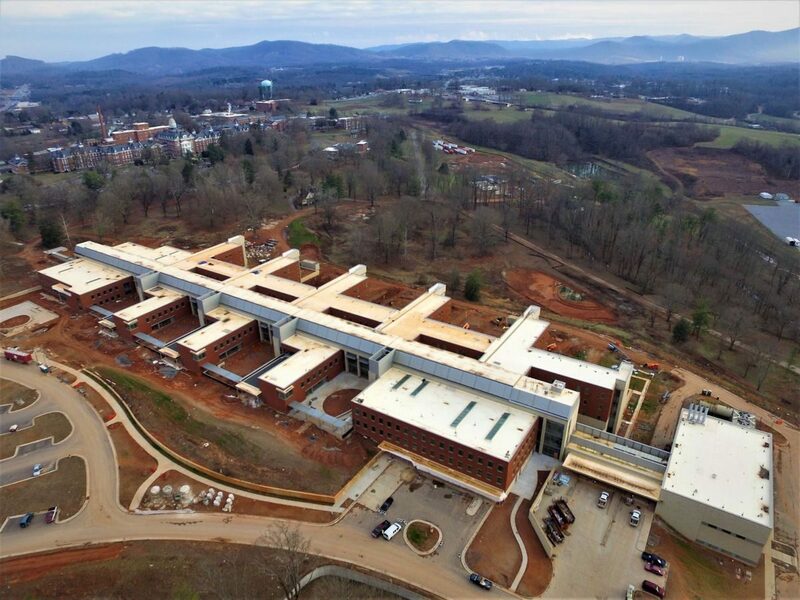 The Cherokee tribe for over two decades has made enormous progress in trying to help tribal members manage their per capita funds wisely and be less vulnerable to the preying efforts of drug dealers at per capita time. The Charlotte Observer newspaper article makes mention of a huge effort that has been going on for nearly 20 years in the Cherokee tribe. Disbursements of the per capita funds were restricted and given in increments every five years after one reached the age of majority of 18 trying to help delay impulse spending on drugs by young immature tribal members. Another notable effort that has continued is the requirement of having high school students take budgeting and economic classes in high school to prepare them for the responsibilities of suddenly inheriting tens of thousands of dollars that they had earned throughout their first 18 years of life. The Charlotte Observer newspaper article makes mention of the young lady highlighted who spent tens of thousands of dollars of her per capita funds on drugs after she came of age. This story, unfortunately, has not been all that rare but the tribe has suspended enormous community-based efforts, financial education programs, and financial safeguards to help coming-of-age members manage their per capita funds wisely. The article further documents that enormous resources that the tribe has spent in the last few decades on mental health and substance abuse treatment efforts. The young lady who is profiled in the article is an example of recovered tribal members have joined the community-based education prevention and treatment efforts of the tribe to address their outsized addiction problem. Of note is the statistic that nearly 50% of adults received some kind of substance abuse related diagnosis several years ago in an epidemiologic health study conducted to track and gauge the magnitude of the problem. In the early 2000’s healthcare and medical leadership of the Cherokee tribe recognized the need to establish and sustain a substance abuse and mental health treatment service for the tribal members. In less than 10 years such a service was established and began operating with a full complement of substance abuse certified counselors, psychiatric social workers, school-based counselors (which had already existed for several years) clinical psychologists, an on-site clinical psychiatrist, numerous mental health and substance abuse related community-based support groups, and organized comprehensive buprenorphine anti-addiction clinic, and plans for a large residential substance abuse treatment center and plans to convert the original Cherokee hospital into a comprehensive mental health and substance abuse detox and treatment center after completion of the new Cherokee medical hospital facility accomplished a few years ago. The Cherokee Indian tribe has literally done everything right in my view. They have established one of the most comprehensive, if not the most comprehensive and financially well-supported substance abuse and mental health services of any Native American tribe in this country. Behind the scenes, it is serving as a national example to other tribes send representatives periodically to visit and learn from its set up and accomplishments. Not every Native American tribe and reservation, however, can be expected to duplicate the incredible set of services at the Eastern and of Cherokee have established in Western North Carolina. Only a minority of Native American tribes have the deep financial pockets that the Eastern Bdate surrounding area Band possesses. This exists for a number of reasons that are also somewhat unique to the Eastern Band of Cherokee. First, there existed an entrepreneurial awareness in a number of families in this tribe that started early on even before World War II, a growing tourist-based industry which capitalized on the creation of the Great Smoky Mountain Park during the New Deal era of President Franklin Roosevelt in the southeastern United States that had virtually no competition in that extended geographic region. Out of the nucleus of a number of farsighted families, and over nearly 50 years nascent development the town of Cherokee and Western North Carolina became a huge destination for tourists and their dollars from that entire region. Second, a larger nucleus of tribal leaders who were very adept businesspeople emerged by the last quarter of the 20th century. This group of leaders forged a very astute bargain the federal government and the state of North Carolina in order to be able to establish, operate and profit from the Harrah’s casino that they started on the reservation. Because they had no casino within the entire southeastern United States, the Harrah’s casino did extremely well making possible the economic and healthcare related development that the Eastern Band of Cherokee Indians has enjoyed. Consequently, the Eastern Band of Cherokee Indians has not suffered embarrassing public economic catastrophes that other tribes have suffered from establishing casinos in venues with not a lot enough surrounding tourist population to support such revenues or have had so many other casinos nearby that none of them were able to be successful financially. Still, the Eastern Band of Cherokee Indians and their collective leadership deserve all the credit in the world for shepherding their financial windfalls and resources wisely and benevolently in the service of their members and their unique health care needs. In my opinion, they serve as an example and model that can and should be exported and imitated even in the non-Native American arenas where we continue to fail so miserably in addressing the social and medical problems and needs of our age. In a recent article entitled, “US: Care lacking at troubled Washington psychiatric hospital,” that appeared in many Northwest and national USA news sites and sources, the continuing troubles at Washington state’s Western State (psychiatric) Hospital were documented. 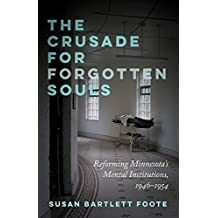 Speaking as a psychiatrist that recognizes both the still present need for inpatient psychiatric beds and treatment, as well as the past history of state hospital abuses, I am again troubled by the travails of this hospital. For the reader, I wish to add a little background. This hospital is very large, over 800 beds and serves a rather large if not huge area as big as some countries. It has had all kinds of troubles over the last several years. It almost lost its federal hospital accreditation a few years ago. Loss of such endorsement in the USA means that a hospital is not able to bill for services rendered to patients through the American-federal insurance entities of Medicare (for American elderly) and Medicaid (for the American poor, those on “welfare,” the derogatory term in the USA for aid to the poor). The news detailed that this hospital will lose up to $53M in the coming financial year which runs from July 2018 until the end of June 2019. That, in turn, means that Washington State will have to make up that money to the hospital to keep it running. And for the wondering reader not well acquainted with the American health care system, such a public hospital can NOT close. Services of psychiatric care cannot stop for obvious reasons. The article referenced above gives a good deal of the history behind this unfortunate development which I will not go into. I wish to give the reader some semblance of explanation of why this has happened. The reader will need to have a historical viewpoint. The problems of this hospital did not start a year or two back…They have been longstanding to say the least. Like many state hospitals in the USA, Western is located out in the countryside, quite a distance, meaning usually up to a hundred or more miles from the nearest urban area. This means that the labor pool un its area, including its home city, has a quite small metropolitan area from which to draw employees for hire. And this state hospital like most, has to employ hundreds of health workers. My own state hospital of my employ has 1,200 employees! As a corollary in our modern society that now is overwhelmingly city based with all the ‘amenities’ thereof, is a harder sell to prospective employees. Few persons want to uproot themselves and move to a much smaller city or town and give up the modern shopping centers and such. Currently, salaries for the professional working class are moderately lower in state psychiatric hospital settings than comparable urban areas. For nurses, physicians, physician-psychiatrists, across the economic board. 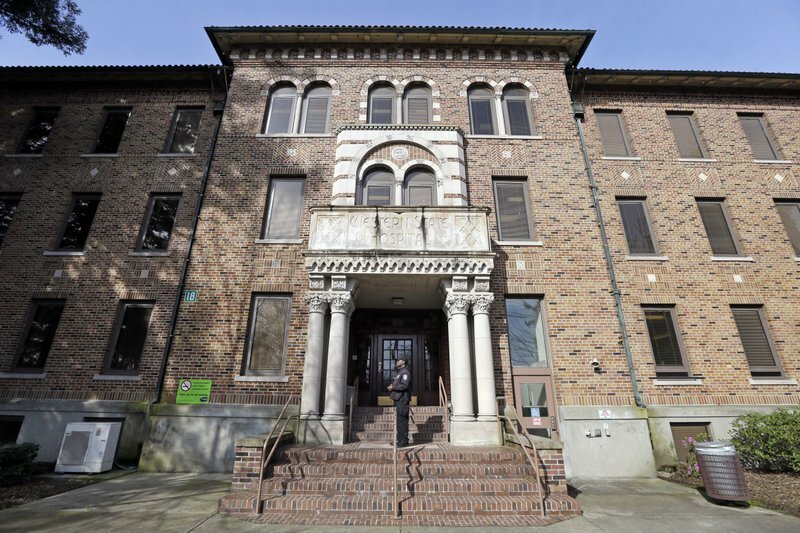 Western State Hospital has long had psychiatrist shortages and nurse shortages. A few years ago the hospital had to suddenly close wards totally a hundred beds or so. No psychiatrists to see the patients…The salary issues had prompted several, ?seven or so, to move themselves and their skills to a VA (Veteran’s Administration) hospital in another part of the state because the VA hospital pay was SO MUCH HIGHER. Western State could not compete. Another issue that has hurt Western is that the hospital structure itself is housed in a building that is many decades old, some dating back to the late 1800’s. This circumstance is actually NOT all that unusual in the USA. Most of the American state hospitals originated in the state hospital building boom after 1870 or so. [My own state hospital’s main building just a connecting walkway away from the building I work in, was built in1875. It is a gorgeous building that fortunately has been masterfully maintained]. Washington state’s governor, Jay Inslee, has labored mightily for several years to help correct the situation. He has worked with the previously reluctant legislature to increase funding which still needs far more generosity on a permanent basis. Implicit in this last sentence is a hint. Psychiatric state hospitals in the USA have long been underfunded. Worsening this chronic pattern has been that in the last 20 years or so since the first ‘recession’ of the dot com era’s origin in 1999, states’ tax intake has shrunk. With each wave of recession in the American economy, states in the federal union that is called the United States, have had to drastically tighten their budgets. Public healthcare including state psychiatric hospitals, highway construction funding, financial initiatives in public transit, and education have taken very significant hits. The results have been the kinds of delayed consequences that are exemplified in Western State Hospital’s evolving plight resulting in its delayed de-accreditation. This slow train wreck in public state hospitals is developing at a number of other state psychiatric hospital systems. Few states are doing what it takes to rebuild, revamp and replaces their aging, falling down facilities. The solution in the majority of states especially in the Northeastern United States has been to close many facilities. This has had the predictable result of throwing hundreds of essential inpatient psychiatric beds into thin air. And this is where the huge increase in mentally ill came from that now occupy jails and are homeless on cities’ streets. So another basis for the de-accreditation has been that the physical plant of Western is so old and faulty that buildings are not safe and are hazards to residents and employees’ well being.